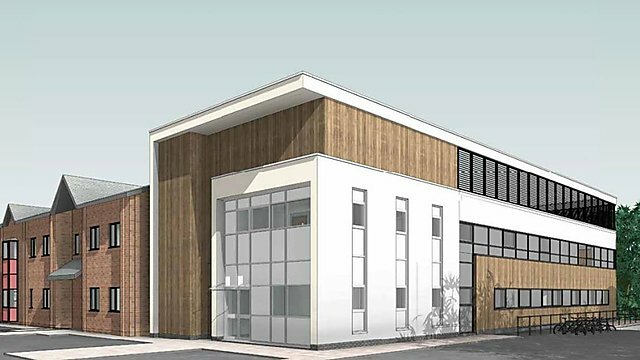 Work has begun on a new facility that will host the most advanced brain research technology in the South West Peninsula. The Brain Research & Imaging Centre (BRIC) will host the most advanced front-line 3-Tesla MRI scanner in the region, and accommodate seven human neuroimaging research laboratories. The multi-million pound project is a unique collaboration between the University of Plymouth, the research charity DDRC Healthcare and University Hospitals Plymouth NHS Trust (UHPNT), and will also provide improved facilities for hyperbaric medicine – used to help deep sea divers – along with delivery of advanced training. The facility will be an extension to the existing DDRC Healthcare building in Plymouth Science Park, and the first turf was cut today (Monday 8 April) by Professor Judith Petts, CBE, Vice-Chancellor and Chief Executive of the University of Plymouth, Ann James, Chief Executive of University Hospitals Plymouth NHS Trust, Dr Gary Smerdon, Chief Executive Officer of DDRC Healthcare, and Professor Stephen Hall, Director of BRIC. The MRI scanner will be used by the University to enhance research into conditions such as Alzheimer’s, Parkinson’s and autism, and by UHPNT for its neurological research to improve patient outcomes. The work taking place in the other BRIC laboratories will range from exploring cognition and behaviour – understanding why people behave in certain ways – to motor control, allowing detailed investigation into neurological conditions such as multiple sclerosis. 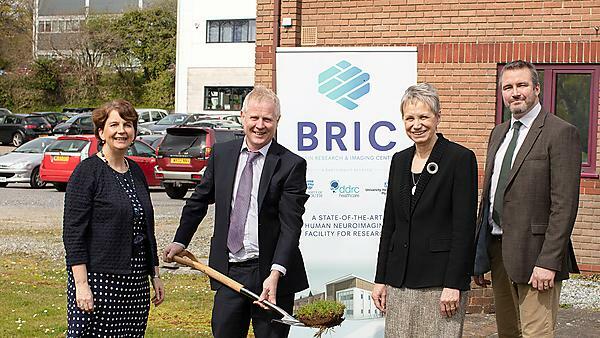 BRIC will also provide new teaching space for postgraduate students in human neuroscience.